LaserGifts . 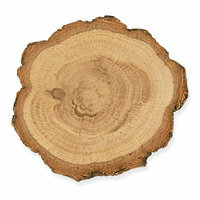 Wood Slice 1.25" - 2"
Wood Slice 1.25" - 2"
Name: Wood Slice 1.25" - 2"
Real Wood Slice. Offers a rustic look that is truly unique in every piece. The diameter of the slices is approximately 1.25" to 2". Hardwood (Treated). Size approx. 1.25" - 2" diameter. Magnets not included in this offering. See the Magnet 1.25" to make these wood slices into magnets.